Now that Euro 2016 has come to an end, our writers reflect on the tournament's highs and lows. Gab Marcotti: Italy vs. Germany. Plenty of drama, proper rivalry, proper managers and history made. What more could you want? Iain Macintosh: Wales' victory over Belgium will live long in the memory for so many reasons: It was unexpected, it was a triumph of team spirit and it made Welsh-blooded ESPN FC man Chris Jones crumple and sob openly into the back of my shirt. Which I can't wear again. Raf Honigstein: Germany vs. France. Of the handful of matches that delivered football of genuine quality, this was by far the best. 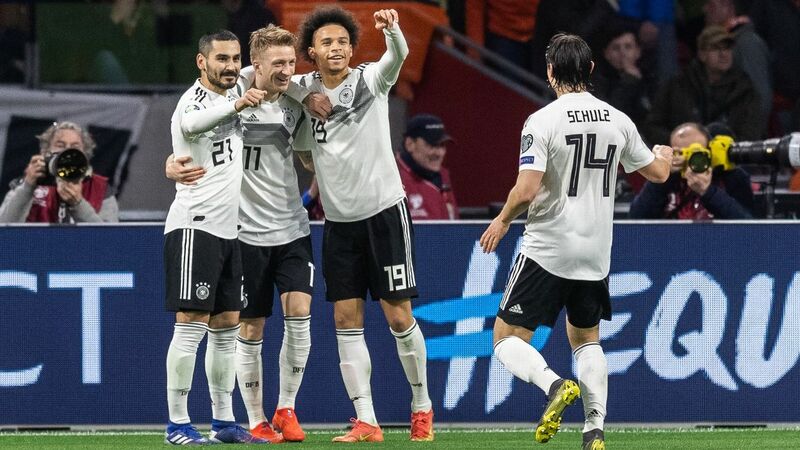 The hosts were sharp and dangerous every time they ventured into Germany's final third; the World Cup winners were at their controlled, fluid best in possession. The game was decided by two fluke goals, but that doesn't detract from its brilliance. Julien Laurens: Italy vs. Germany. I thought tactically it was a fascinating contest between two great managers and two very clever sets of players. The drama of the penalty shootout was something else as well. John Brewin: The obvious answer is France vs. Germany but, of the matches I attended, Croatia's 2-1 win against Spain in Bordeaux will be most remembered. Spain's hold on the title was loosened by Ivan Perisic's late winner; it meant they would have to face Italy next. It was a shame that Croatia froze in the round of 16 against Portugal. Nick Ames: France's semifinal win over Germany ended up being relatively comfortable but, for over an hour, it was the kind of toe-to-toe contest between two big hitters that this tournament generally lacked, and was fascinating for it. Miguel Delaney: France's semifinal win over Germany was really the only truly high-quality game of the tournament -- bar maybe Croatia vs. Spain -- and was elevated by the stakes and the intensity of the ending. It also made for what felt like the biggest event of Euro 2016, especially since France then lost in the final. Graham Hunter: Wales 3-1 Belgium. This was an immense game, far better than France vs. Germany in that the better team won and did so despite falling behind. It was also won with two world-class goals in a cauldron atmosphere. And Wales, unlike France, won without the benefit of schoolboy errors -- Hello, Germany! This was football in its pure state. Germany's quarterfinal against Italy was one of the tournament's more intense games. Marcotti: Xherdan Shaqiri vs. Poland. We can talk about the importance of goals all we like -- and it was pretty important -- but when you pull off something that improbable and spectacular, you ought to be rewarded. Macintosh: Time was running out. Humiliation beckoned. And then Dimitri Payet stepped up and thundered an extinction-level event for France past Romania's Ciprian Tatarusanu in the opener. And that's how tournaments should begin. Jones: Hal Robson-Kanu's manufacture of a dream goal out of what seemed a blown chance. One of the best turns any of us has seen, followed by a perfect finish to give Wales a shocking lead over Belgium that they wouldn't relinquish. Honigstein: Shaqiri. The idea. The audacity. The execution. A flawless piece of football artistry. Laurens: Shaqiri against Poland. His technique was perfect and it was such a difficult goal to score. Brewin: I was lucky enough to witness Shaqiri's bicycle kick for Switzerland against Poland but, for technical brilliance, I cannot look beyond Cristiano Ronaldo's header against Wales. His hang time was so long that the ball had hit the back of the net by the time he returned to earth. Ames: Luka Modric's volley for Croatia against Turkey was technically perfect. Don't underestimate the skill it takes to run onto a ball coming down from that kind of height, make a clean contact and keep it down. It still baffles that Croatia exited at the round-of-16 stage. Delaney: Radja Nainggolan's strike against Wales had emphatic power, supreme precision and was just beautiful to watch. Hunter: Robson-Kanu. By miles. No other contenders. Not even close. Marcotti: Iceland's players celebrating with their fans. A whole nation bought into the tale of 23 men who, really, aren't that different from them. It's what sets international football apart. Macintosh: Once the burning humiliation had passed, it was an honour to witness Iceland beat England so comprehensively in front of their incredible fans. Jones: This might seem like a small moment, but I'll never forget it: The look of abject terror on goalkeeper Michael McGovern's face 11 minutes into Northern Ireland's match against Germany and his swallowing of it as he made save after save. Close second: When that giant moth landed on Cristiano Ronaldo's face to feed on his tears. Honigstein: Simone Zaza's penalty miss will continue to delight for decades. What's Schadenfreude in German? Laurens: The "Uh!" clapping by the Iceland players and their incredible fans after their win against England. It was amazing. Brewin: Perhaps it came in the very first match. I was in a Bordeaux bar full of Frenchmen cursing their team as Romania looked like holding the hosts to a 1-1 draw. Then came Dimitri Payet's brilliant late winner and the whole place was jumping in renewed belief as beer was thrown everywhere. Ames: Iceland's win over England. It doesn't matter that England were atrocious; this was a remarkable night with joyful scenes at the end and it should show teams everywhere that, with the right attitude and application, anything is possible. Delaney: Almost the entire Portuguese squad running onto the pitch when Eder scored in the final. It was just pure, unfiltered joy and obviously filled with even more meaning because of what will become the tournament's most famous moment: Ronaldo's injury. Hunter: The Ronaldo-Joao Moutinho interaction before Portugal's penalty shootout vs. Poland and Ronaldo's reactions to the stress. Their tournament swung right there, before a spot kick was even taken. It was stark evidence of team spirit, unity and a new "Cristiano the true leader" persona. Great theatre. In making it to the quarterfinals of their first major tournament, Iceland and their fans provided many magical moments. Marcotti: Antoine Griezmann. Poor in the opening game and in the final, but outstanding in between. Without him, France would have watched the final on TV -- simple as that. Macintosh: A very tough call; there was no standout contender. But Pepe's performance in the final might just nudge him into pole position. Jones: He was a disappointment in the final, perhaps, but Griezmann's run over the length of the tournament and his singular performance against Germany in particular, still earn him the nod. Honigstein: Griezmann. It didn't quite work out for him in the final, but his goals and consistently threatening performances marked him out in a competition defined by misfiring forwards. Laurens: Griezmann. Considering he had already played 63 games this season before the Euros began, the guy is a superhero to have done what he did. No one has ever scored six goals in this competition apart from Michel Platini (and now Griezmann), and "GR7" deserves a lot of credit even if his final display was disappointing. Brewin: Griezmann has been the star of the show but, for a player playing his position at a level higher than anyone else, it has to be Leonardo Bonucci. He reminded that nobody does defending better than the Italians. Ames: This was not a tournament filled with moments of great attacking quality but there was plenty to admire in one of its centre-backs. Pepe gets plenty of negative press as a master of the dark arts but he was imperious this summer and, like Portugal, grew as Euro 2016 progressed. He was the rock on which their remarkable month was based. Delaney: Pepe has a strong claim, because he ended up personifying this Portugal more than Ronaldo, but Griezmann ultimately did more for France than any other player in the tournament did for their team. Hunter: Griezmann, though there were too few contenders in the end. Pepe played well, but Griezmann got people off their seats with his flair. Wales teammates Gareth Bale and Aaron Ramsey are fighting for bronze. Marcotti: Portugal winning the tournament despite Cristiano Ronaldo being either wasteful or sidelined for about half the matches. So much for the notion of the one-man team. In an era of superstars, this was a collective triumph. Macintosh: Hands up if you genuinely expected Hal Robson-Kanu to execute a perfect Cruyff turn and put Belgium to the sword? Nope? That's what I thought. Jones: It has to be Iceland, right? Not just their win over England, but their hard-nosed play throughout the group stage, too. It's ridiculous that they even qualified. Did anyone on earth have them playing in the quarters? Honigstein: We had many tales of plucky underdogs having their day, while established powers contrived to go out in unexpected ways. Portugal's win over France, France's win over Germany and Germany's win over Italy all went against the tide of history. The biggest surprise, however, was that England managed to hit a new low. For all their problems and psychological frailty, scraping a single win from matches against Russia, Wales, Slovakia and Iceland is still an "achievement" that beggars belief. Laurens: Wales' incredible run to the semifinals. They played with so much heart and faith and mixed the talent of Bale and Ramsey with the discipline of the others. They also offered two of the best performances of the tournament against Russia and Belgium. And their fans are amazing, as is Joe Ledley's dancing! Brewin: The positive critical reception handed to England for their performances in drawing 1-1 with Russia and 0-0 in Slovakia. Too many excuses were made for failing to beat poor opposition and what followed against Iceland cannot be regarded as a surprise. Ames: Hungary's tournament ended with a resounding judder against Belgium, but they were full of enterprise in the group stage despite being billed as stodgy no-hopers. Their win over Austria was perhaps a double shock -- both for the quality of Hungary's performance and the flatness of the opponents, a team that had been billed as a dark horse. Delaney: Portugal having so much success after a group stage in which they looked so unconvincing. Credit goes to Fernando Santos for figuring it out. Hunter: Wales. What they did was bigger than Iceland's achievement and I think that, without the suspensions they suffered, Wales would have been finalists. We knew they had ability and thrived in a good system, but to handle a tournament, with all that pressure and tiredness, and to play so well following the gut punch of losing late to England, was impressive. Wales had not been in a major tournament since 1958 but surprised many by reaching the semifinals. Marcotti: French manager Didier Deschamps in the semifinal and final. Yes, I know he beat Germany. Yay. But the scheme was wrong and France suffered a lot more than they needed to. Macintosh: England. Bloody England. They always let you down. Jones: Zlatan Ibrahimovic never whimpers, but his international career ended with one. Sweden managed a single shot on target in three dismal group-stage matches. That's the worst kind of impossible. Honigstein: Austria's finishing fourth in one of the weakest groups was an unexpected sporting disaster considering the individual quality at their disposal. Laurens: That most of the big stars, including Ibrahimovic, Thomas Muller, Robert Lewandowski, Andres Iniesta, Cristiano Ronaldo and Ivan Rakitic, didn't really shine consistently and struggled to have a significant impact. Brewin: I cannot help feeling we might have seen a better overall standard of entertainment if UEFA had not decided to follow the edicts of the 2014 World Cup by asking referees to be lax. Coaches and defenders got wise. Lewandowski, to take a leading example, took a great deal of punishment. 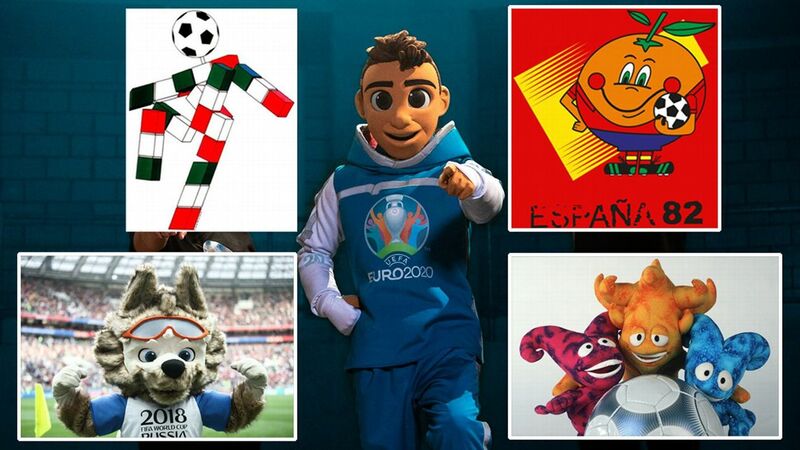 Ames: The lack of truly edge-of-the-seat, see-saw games, particularly in the group stage. It took a long time to reduce 24 teams to 16. Delaney: The amount of defensive football, which I think is partially the consequence of the tournament's featuring so many low-quality managers unable to come up with anything else. Once this approach was successful for a few of the so-called lesser teams, it just spread. Hunter: Spain. They went out at a ludicrously early stage and with a whimper of a tournament they should have won.